I spotted this vintage green fondue pot at my parents' house last time we were there. But, with storage at a premium around here, and a lovely vintage orange fondue pot already housed safely in my cupboards in the basement, I meant to pass up on taking this guy home. My attempts at self-control were dashed by my 10-year-old girl, though. She decided that this fondue pot was really cool. So home it came. I now have visions of a fireside beer, booze and fondue party with friends and family. Wouldn't that be a great way to pass some time in the midst of winter? Except that I don't eat cheese. Hmm. What can you melt that's vegan? Thanks to those of you who have been linking up at Vintage Bliss Tuesdays and sharing your awesome thrifty and vintage goodies. Thanks to everybody who has been visiting these fab links too! Have you found any thrifty goodies lately? Joann, yes, that green fondue pot needed to come home with you. It is so cute! Thanks for the party. 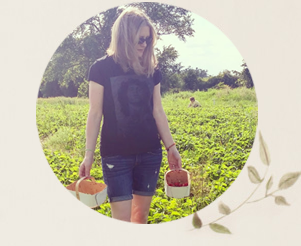 Hey Jo, long time no blog. Hope you guys are happy and staying warm, we've actually had colder than normal temps here in Florida (everyone is freaking, lol). I love the fondue pot, you're daughter is wise with a very good eye. :) Thank you for hosting the link up! Good to hear from you. I am trying hard to sympathize with your "cold" weather. ;) Actually, I was trying to convince my husband to drive to Florida at Christmas and he said it might be too cold. Um, hello! At least there won't be 5 feet of snow! maybe instead of melting something you could warm cider or hot chocolate? idaknow. either way, it is a beautiful piece. 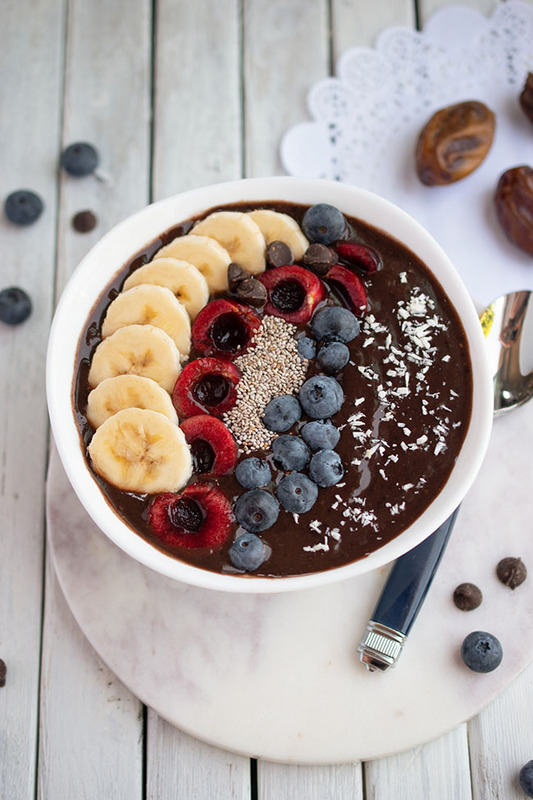 I made a chocolate fondue once, with vegan chocolate and almond milk. It was delicious, too! We were given a burnt orange fondue set for a wedding gift, it was never used, it's long gone now. Your green one is very mod! I love orange items for the home (as you know). So cheery! Thanks Jill. 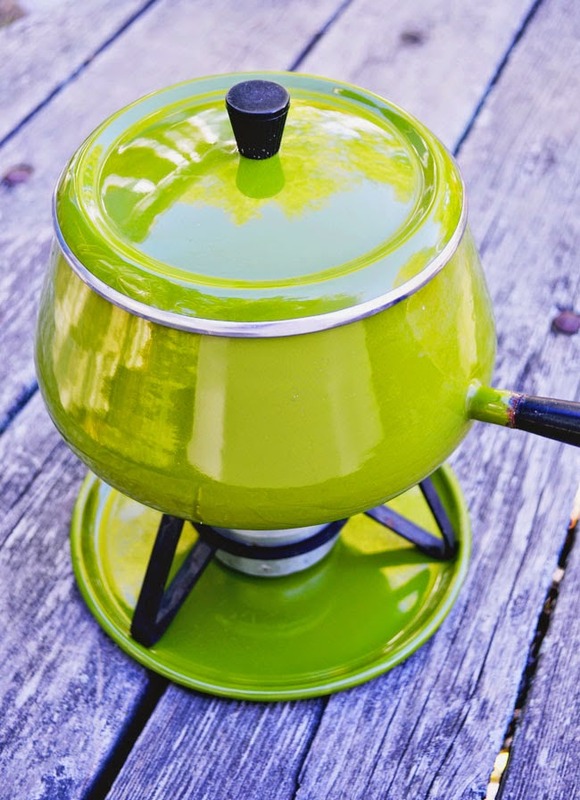 Joann, thank you for sharing your green fondue pot with us at Make It Monday. I did not have a vintage post to share this week, but will return next week. No idea what you melt that's vegan--maybe a nutty yeast dip?? I'm not good at thinking up things like that!